This isn't just America's Best Community. This is Hampton Lake, the most amenities-rich, fun-for-the whole family private community you'll find anywhere. And the perfect home is waiting here just for you. And there is no need to put your dreams on hold. We have taken all the wait out of living in America's Best Community with a number of gorgeously-built, dream homes that you can move into right away. That means more time enjoying the best things in life - and amenities also voted "America's Best"- with your family and friends. 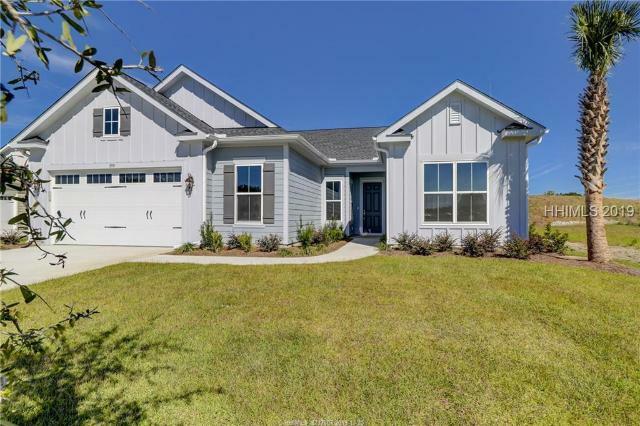 With available selections ranging from energy-efficient, single family homes priced from the upper $200s to roomy lakefront homes from the mid $500s, we have a completed home ready and made to fit your life. You are going to love the quality of these homes, too. Our select group of renowned builders has done a terrific job building homes that live well and fit the beauty of our natural surroundings. And for four consecutive years, our builders have been honored with prestigious Lighthouse Awards for the quality craftsmanship and design excellence of their homes at Hampton Lake. Of course, if you have always dreamed of having the perfect home built just for you, we also have choice wooded and lakefront homesites available. Whether you are ready to move in today or start building tomorrow we have a living choice perfectly suited for your like at the Lake! With over 600 owners and a thriving Club, the community truly represents the best of lake living in the Lowcountry of South Carolina.